I was driving home from a piano lesson the summer we started dating and noticed that even on an overcast day the world around me seemed more beautiful than I had observed before. It occurred to me that it was the experience of our new love that opened my eyes to see things with a radiance I had previously missed. “Heav’n above is softer blue, Earth around is sweeter green! and acknowledged it was because of Jesus’ love for me that I could experience fully the life-changing, all-encompassing human joy of loving and being loved. I was already learning something of what it was like to be yours and have you as mine and all the pleasure exclusive love could bring. Amazingly, fifteen years later, I continue to see the world around me differently because of you. Your love is constantly changing me. It helps keep me from cynicism and despair. It helps me have hope in times of fear and trial. It softens my heart and disarms me when I’m ready to fight and yet it calls me to take up arms and make war when I need to. It helps me face things I’d rather run from and overall continues to plummet me to depths of joy I didn’t know were humanly possible. I know my experience of our covenant love is a tangible expression of God’s loyal, faithful love for me because your love is in the image of his love. And tasting and seeing your goodness and kindness to me and enjoying the benefits of your love for me doesn’t make me worship you, it makes my heart collapse in praise and adoration of him. Because the older I get and the longer we’re married, I see more of who I really am. And I know I don’t deserve the honor you give me and the love you show me. I know I have not earned the thoughtful things you do for me and the selflessness with which you serve me. I’ve disappointingly found I’m not really as lovable as I originally thought. So my soul continues to be awakened to the fact that, because of you, I see more of what the Author of Grace is like, and because of you, I know his love better. The truth is, this doesn’t happen because you’ve reached a certain plateau of spirituality. It happens primarily because you have been conquered by a love that’s greater than mine. You’ve been loved with a love greater than anything a woman can offer and it has humbled you and you have submitted to it and it has kept you near to him. So the effort you put forth and your daily choice of loving me through fifteen years of marriage is evidence of your submission to him and the cords of his love that have tightly bound you to him. That’s something the “ball and chain” of marriage can’t accomplish. And you know I’ve tried it. So as joyful as my experience of our love is, it makes me crave the Perfection of its source. It makes me know there is even more love and joy than we’ve had. And that truth is astounding! There are heights to it and depths of it we will one day know completely and it only makes sense we will get to experience it together there, overwhelmed, undone, and awe-filled! On that day when I am presented before him holy and blameless, I’ll then know fully a fraction of what I know now – I have been loved with a faithful love I could never earn and certainly don’t deserve. May he continue to draw us nearer and prepare us better for that day. 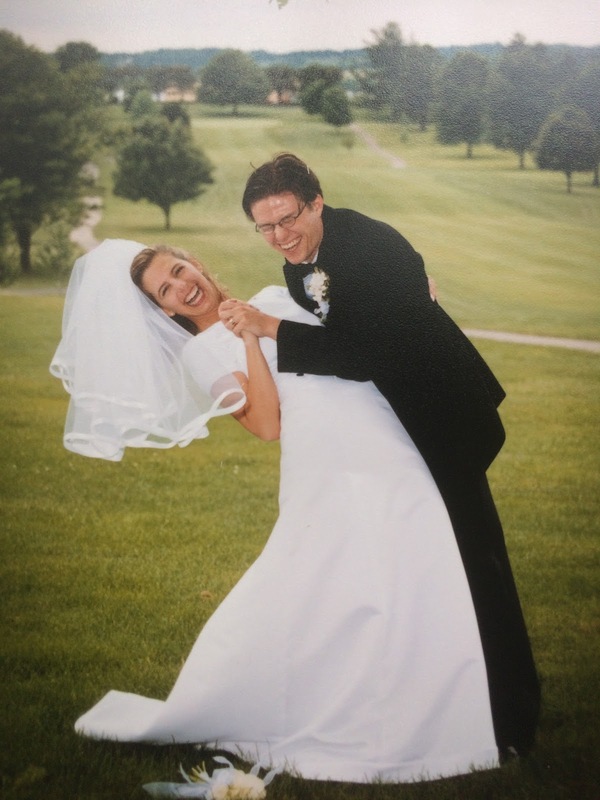 Happy 15th Anniversary, my joy and my love!